If you’re in the market for fine vintage machinery, grab your passport and book a ticket to Lille. Lille is France’s fifth largest city—an hour from Paris and an hour and a half from London. 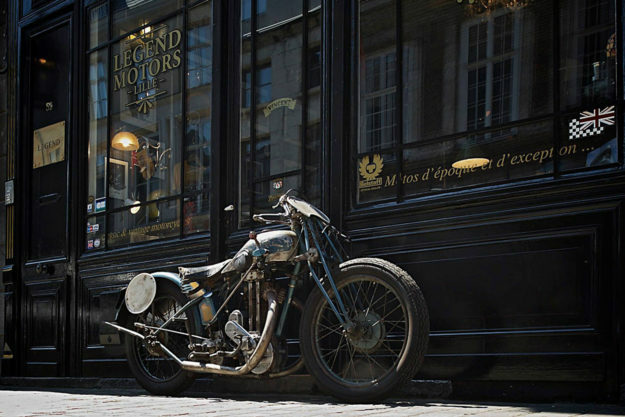 And it’s home to Legend Motors: a chic and charming store specializing in rare vintage motorcycles. 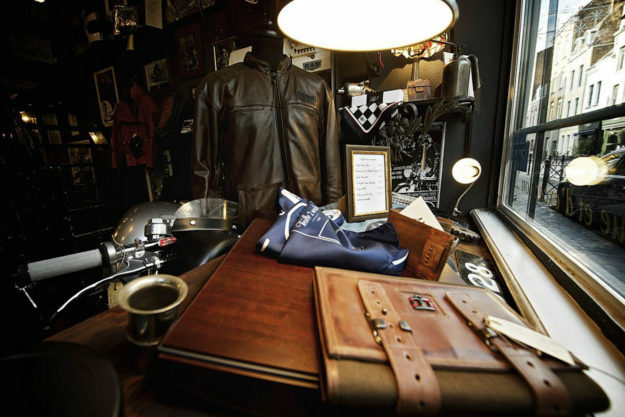 You’ll find Legend at 59 Rue St André, identifiable by their dark wooden facade and hand-painted window signs. As unique as that sounds, if you blink you might miss them. That’s because Rue St André is nestled in Vieux Lille (‘Old Lille’)—a trendy part of town with cobbled streets and old brick buildings, and littered with bistros, bars and galleries. Legend’s inventory is impressive. 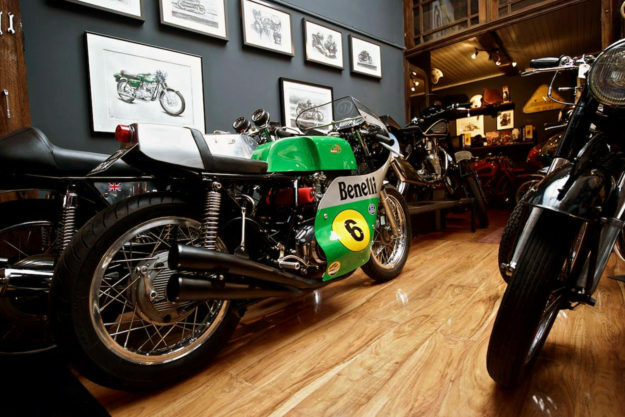 At any given moment, you’ll find motorcycles from Vincent, Ducati, Velocette, Triumph, Norton, Benelli, Moto Guzzi, MV Agusta and Brough Superior on their floor. All meticulously restored and maintained. That’s backed up with a selection of carefully curated gear, from the likes of Icon 1000, Hedon, A Piece of Chic, Bell, Belstaff, Gasolina and DMD, among others. We caught up with shop boss, Christophe Bodelot, to find out a bit more. Tell us a bit about the building you’re in. I discovered the Rue St André via an estate agency, and was immediately attracted to No.59, with its wooden façade and vintage style. (It was an estate agency itself, previously). 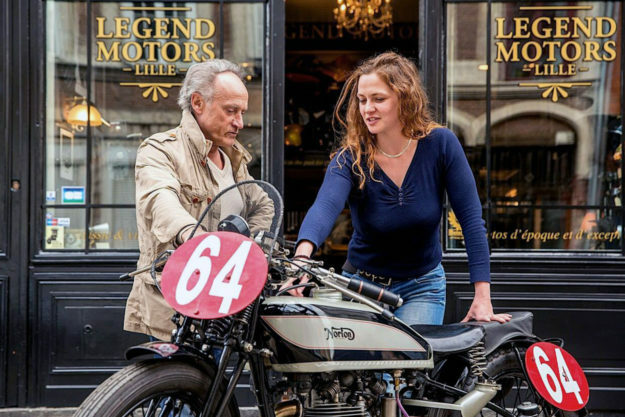 Inspired by the famous British ’59 Motorcycle Club,’ my desire to create Legend Motors at this particular address was confirmed. What are your customers like? 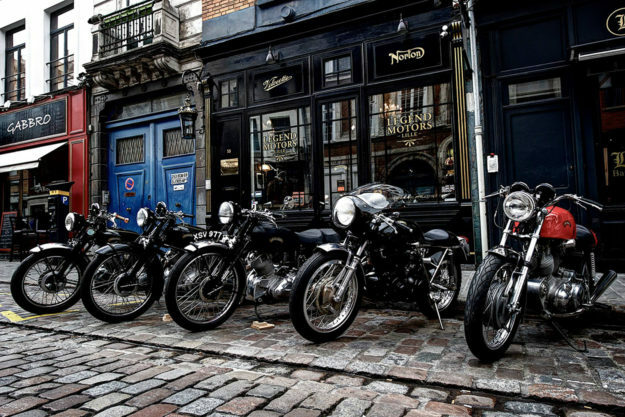 Above all they are real bike enthusiasts, with a particular love for vintage-style machines. 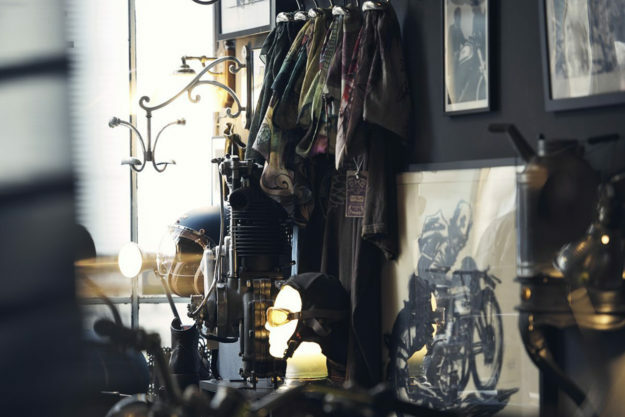 They are for sure passionate about our style of bikes and accessories, and are invariably collectors. Those who buy obviously have the means to do so—so are of a certain age. They come from a host of different backgrounds, whether in France, England, Belgium, Germany, Sweden, the States, and even Australia! Is there a workshop crammed into your shop too? Here at our boutique we offer a showroom of bikes and accessories, and are currently a team of two to welcome our clients. Our workshop is set thirty minutes away, in the Lille countryside. 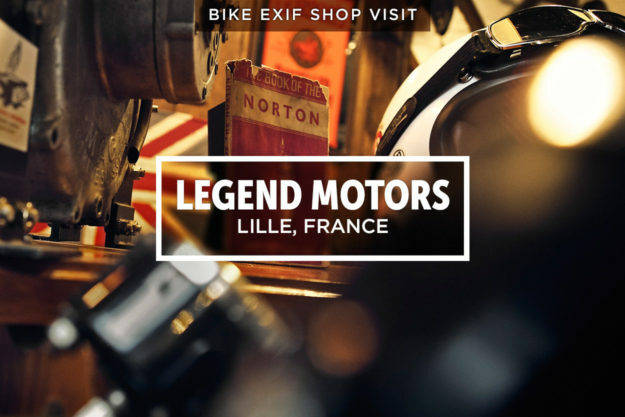 That’s where a team of three mechanics, each with specific skills, lovingly restores and prepares our machines: Vincent, who takes care of our German and American bikes; Guillaume, the Italian brands; and François, all English machines. Do you serve food and drink? We do not serve any food or alcohol here, however everyone is more than welcome to spend as much time as they like and enjoy a coffee with us. What’s the Legend social calendar like? The last Friday of each month—in collaboration with the bar next door (aptly named La Chapelle)—we organize an early evening apéritif whereby by our clients, friends, family and neighbors join us for a festive get-together. 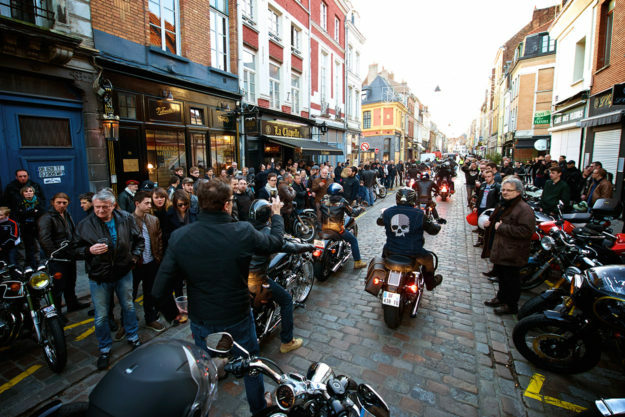 So one evening per month, Rue St André is transformed into a bike enthusiasts’ paradise—with up to three hundred bikes in the street! We organize ‘weekend-runs’ too, in the spring, summer, autumn and winter. With a small group of friends and enthusiasts, we take off to ride around the towns, villages and countryside of the region. A légendaire time is had by all!